Curious? Keep scrolling for more info! More than taekwondo, family fun, fitness, self defense, and more than a sport; we grow individuals with courtesy, integrity, perseverance, self-control and an indomitable spirit! Get your 50% off Coupon! Have you trained in TaeKwonDo before? Want to restart after a few years away? Coming from another school? 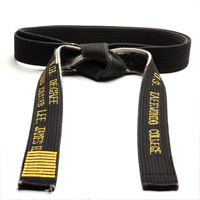 Are you a returning black belt? Don't be shy! We will help you transition back into training! Don't forget your coupon! 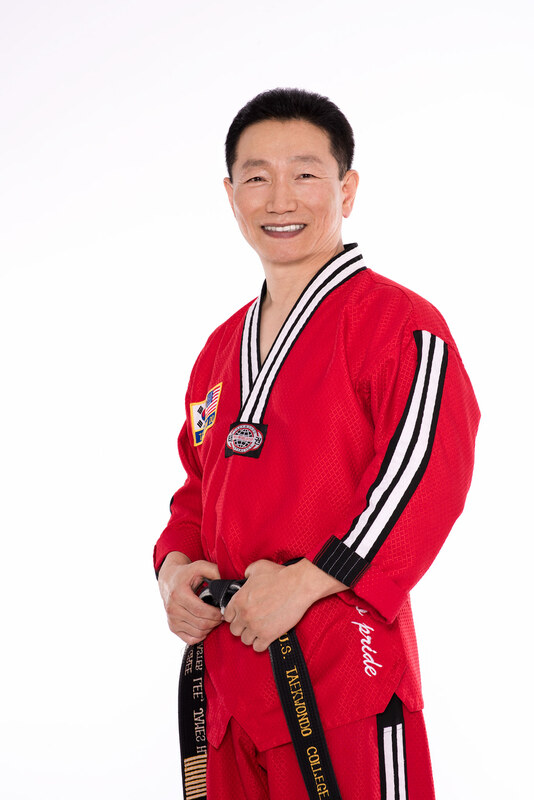 U.S. TaeKwonDo College recently celebrated 30 years in Eugene and Great Grand Master Lee's accomplishments. Watch this video to learn why students love his school. Your family is so important! And your family is instrumental in creating a happy, healthy and positive community. At U.S. TaeKwonDo College, we give your family star treatment through membership discounts, by providing a family-friendly atmosphere in our classes, and offering kids-only classes when mom and dad aren’t working out. Our high-energy Break-A-Thon events give our students an opportunity to give back to our community. These family-friendly events allow our students the opportunity to test their skills in a public venue while raising funds for worthwhile causes. TaeKwonDo is an excellent way for homeschoolers to get P.E. credit, make friends and be part of a fun community! 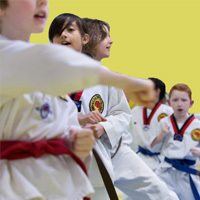 Kids are required to do a lot of sitting in school, and TaeKwonDo helps to relieve their pent up energy. 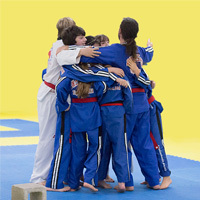 TaeKwonDo is also an excellent way to learn non-violent conflict resolution and helps kids find focus and stillness. Through respectful technique correction and class activities, kids also learn that failure isn’t permanent unless you quit. By continuing to persevere, kids learn self-confidence and self respect that is well-earned, and marked by visual ranks as they progress through the belts! 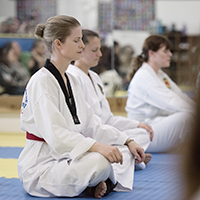 A martial artist is taught to see, feel, and listen — both internally and externally. Kids also learn socialization within a structured environment where others have similar goals. There is also quite a bit of teamwork once kids get into the upper belts, and over time these disciplines cross over into other areas of life. 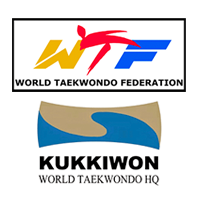 TaeKwonDo provides excellent fitness for adults. It is a high-aerobic workout that uses every muscle group, improves stamina, muscle tone, flexibility, balance and strength. 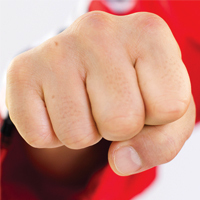 TaeKwonDo is excellent for stress relief through kicking, punching and shouting. You will learn important self-defense skills, goal setting, receive positive encouragement, and respect — which is part of our daily practice. All of this increases self-confidence in all areas of your life. If you don’t have a current fitness program, getting more exercise has general benefits including better sleep & concentration, an improved emotional state, better heart health, improved self image, stronger immune system, greater strength and flexibility, and a healthier weight. 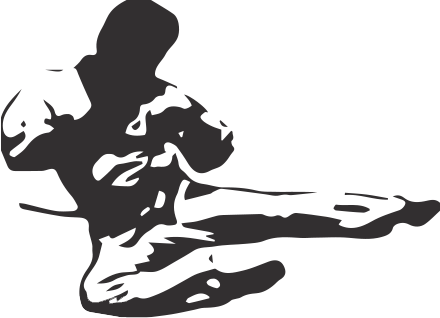 We have trained many seniors coming into martial arts for the first time; you don’t have to be running races to join us. 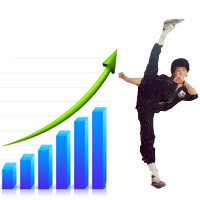 The benefits to seniors learning TaeKwonDo are many, including: improved balance and body control, a community connection, cardio-respiratory fitness, strengthened immune capacity, sharpened mental focus, a boost in confidence, increased flexibility, increased oxygen flow, increased strength, and improved endurance. Since TaeKwonDo is a weight-bearing exercise, it also helps guard against osteoporosis. Our emphasis for seniors is on listening to your body and enjoying the workout. Most of our seniors observe big differences between themselves and their non-active friends as they age. TaeKwonDo keeps them young! Come in for a free trial lesson, and don’t forget your coupon for half off a month of TaeKwondo, a free uniform and unlimited classes! Call 541-344-2715.